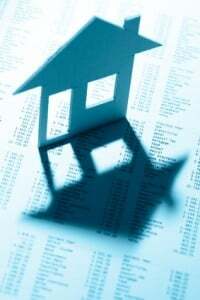 Many of the warnings of lurking shadow inventory in the real estate market may have quieted down. Certainly this isn’t because it has gone away, perhaps just more sensational headlines have been needed. Instead of battling other investors in bidding wars for the few properties on the market wouldn’t it be great if you could just dig in and grab some of this shadow inventory? Banks and the GSEs may be working on new ways to offload the millions of REOs they’re sitting on but this doesn’t mean that they have cracked it yet or that they don’t need help getting rid of them. Renting pools of properties or selling pools of REOs which are leased back to delinquent owners, especially in areas where lenders have been unsuccessful in selling these properties themselves obviously doesn’t sound like a good deal for investors. Some will snap them up because or the discounts and they don’t know any better but we’re not betting this is a successful recipe in the medium or long run. Even offers to delinquent borrowers of up to $35,000 doesn’t seem to have motivated enough of them to complete short sales. So ultimately there is still a huge amount of shadow inventory out there. It may not be quite as much as some have proposed but it is there and it is big. This doesn’t mean that investors should be afraid of this shadow inventory. Banks definitely seem to be doing a good job of filtering it through slowly in order to preserve home prices as they don’t want to squash the market and their other assets. In some areas they’ve found a small reprieve in razing properties or donating them. Still REO inventory needs to be moved and just because it isn’t on the open market yet shouldn’t mean that you can’t profit from it. We all know lenders are swimming in new REOs after last year’s stall and the should be happy for you to take it off their hands. How can you get your hands on it? Forget asking you cashier at your branch of big brand banks or even calling their loss mitigation departments they aren’t going to be able to help you. AND I AM HAVING A SHORTAGE IN FINDING BULK REOS AND NPN AND PERF NOTES —- WERE SELLING A SMALL 38 PERFORMING NOTE TAPE THAT BRINGS IN ROUGHLY $16K A MONTH FOR $ 775K OR BEST OFFER IF ANYONE IS INTERESTED / WERE BIDDING ON A 70 PROPERTY NATIONWIDE TAPE TOMORROW 3/23 /12 THAT WE WILL SELL VERY SOON TOO IF YOU HAVE ANY QUESTIONS CALL 402 572 8895 WE LIKE NOTES !!! ALL THESE TRANSACTIONS ARE DIRECTLY FROM THE BANKS !! Lars, we’ve been in business since 2009. We have older posts. Brecht, how do buy direct from the bank without a realtor?